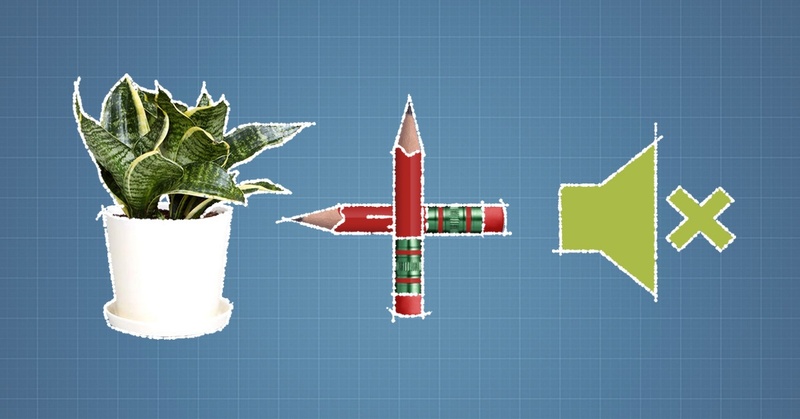 The future of medical office interior design is trending towards comfort. Patients are becoming more discerning consumers when it comes to choosing where they go for their healthcare. As a result, spa-like waiting rooms, private patient accommodations, fancy technology and lavish interior design are all becoming more common sights when you visit the doctor’s office. Some people may look at these changes cynically. Why waste money on redecorating with mahogany and topiaries when those funds could be better spent on something else? While sometimes patient choices are swayed more by the quality of the facility décor and furniture than the qualifications of the doctors, ultimately the trend of nicer accommodations centers care around patients’ greater wellbeing and better recognizing patient needs. save lives, and improve outcomes for patients." 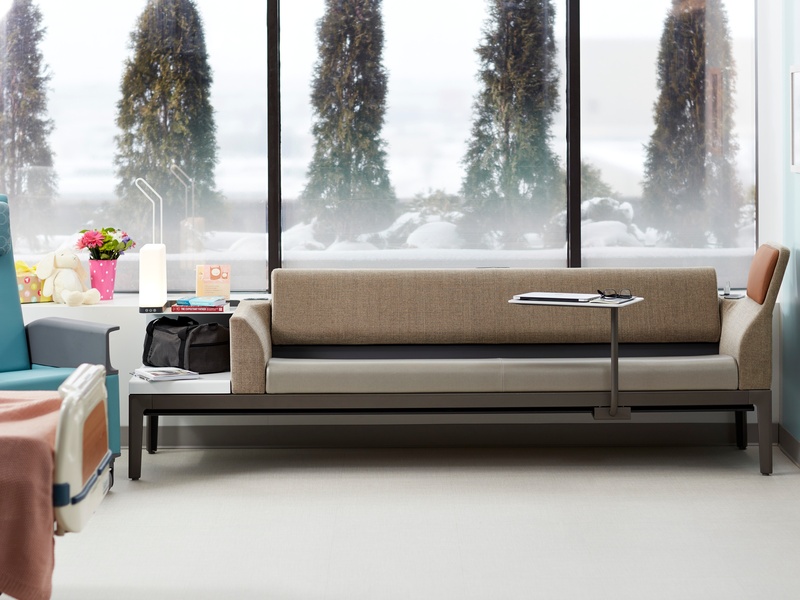 Research has shown that modern medical office furniture, facilities, and stylish décor can actually have a significant and tangible impact on patient safety, experience, and ultimately their treatment and recovery. According to the Harvard Business Review’s article Better Healing from Better Hospital Design, clinical data has shown that the design of a medical facility can actually save lives, and improve outcomes for patients. Infections picked up while in medical clinics has always been an issue for the healthcare industry, but switching to private treatment and patient rooms can reduce the rate of infection drastically. For example, about thirty percent (30%) of ICU patients will contract an infection during treatment. 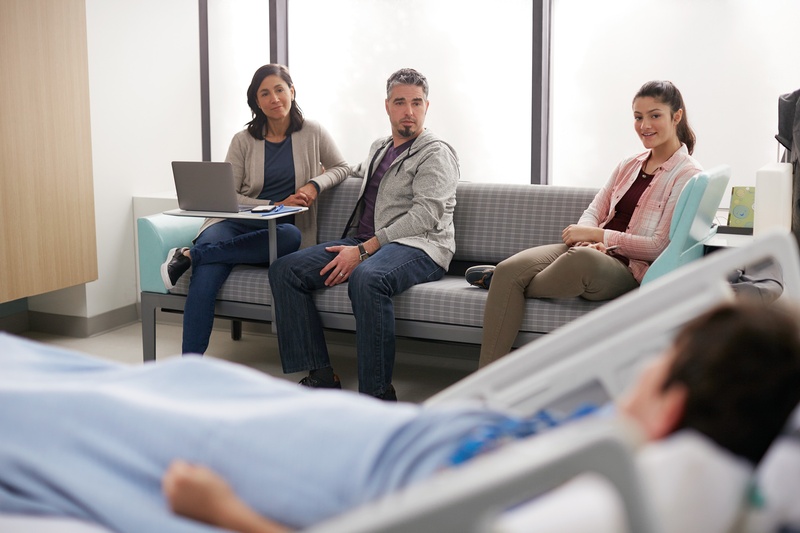 Simply redesigning ICU facilities from multi-patient to single-patient rooms has been shown to cut the rate of infection by over fifty percent (50%). Once upon a time, single patient rooms were considered a luxury. Now, the overwhelming benefits private rooms provide by preventing infections and facilitating better patient recovery is making them the new standard of care. 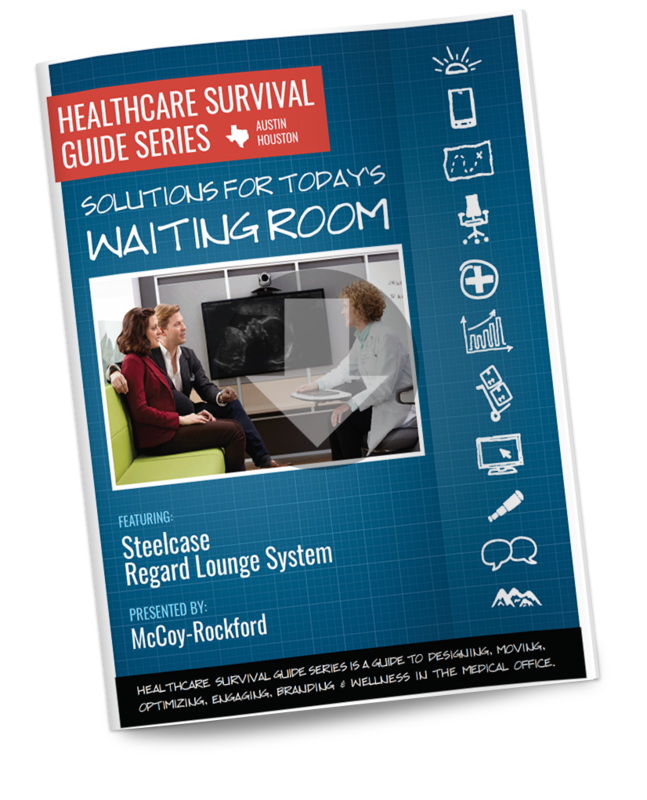 What was originally seen as an inefficient use of space in crowded hospitals is now recognized for its critical role in patient safety and reducing the length of hospital stays. Preventing infection is only one example of the impact that medical office interior design can have on a patient’s experience. An article published by the Agency for Healthcare Research and Quality says a lot about the ways medical office interior design can affect patients. Reducing stress in patients during their visit/stay in a medical clinic can greatly boost healing and recovery. Single patient rooms are also ideal to minimize stress because of the privacy they provide. They block outside distractions that disrupt rest, and can be designed to allow treatment to be administered in-room. the way to deal with an embarrassing problem"
In-room treatment not only allows for greater privacy and comfort, but also minimizes patient transfers with can cause stress. No one wants to be paraded through the halls on the way to deal with an embarrassing problem, or have someone listening in from behind a curtain. Interior windows with tinting options or blinds can help to balance privacy with easy visibility for staff, allowing nurses to check in on their patients without disturbing them. Ensuring privacy through room design has been proven to make patients feel more comfortable, but there are also many other ways that smart medical office interior design can reduce stress. Reducing noise, providing access to views of nature, and soothing, aesthetically pleasing surroundings have all been proven to reduce pain, improve overall well-being, and shorten the length of hospital stays. These design elements emphasize patient comfort without compromising hygiene or safety. Incorporating natural light, natural materials, windows overlooking greenery, and gardens or plants throughout medical offices benefits patients enormously. Views of nature have a well-documented ability to sooth and heal. In the article mentioned earlier, Harvard Business Review cites several studies that illustrate that patients with windows to natural views had shorter stays in hospitals, and patients who were able to walk through hospital gardens reported therapeutic effects. might not be as useless as we all thought." Even realistic pictures of nature can help. In one study, when pictures of nature were hung in a pain clinic’s lounge, demand for pain injections fell by seventy percent. 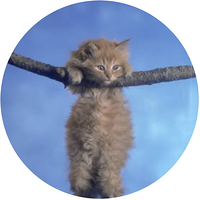 So those posters of kittens hanging from tree branches might not be as useless as we all thought. A patient’s quality of care and overall experience can also be impacted by noise. Noisy environments are stressful in general, and in a medical setting sound privacy becomes even more important. Private exam rooms, patient rooms, and offices are a great start, but noise can be additionally minimized by designing rooms with identical layouts (instead of mirrored) and with extra space between adjoining walls. Acoustically absorbent ceiling tiles and flooring also play a big role in noise reduction. Carpets are the most effective flooring for canceling out sound. Since carpet is difficult to clean quickly and thoroughly it isn’t ideal for exam or patient rooms, but is well suited to hallways and lobbies. Luckily, luxury vinyl tile (LVT) is a good alternative for exam and patient rooms. Luxury vinyl tile, which has acoustical cushions built in, has the advantage of being easy to clean and comfy to stand on. 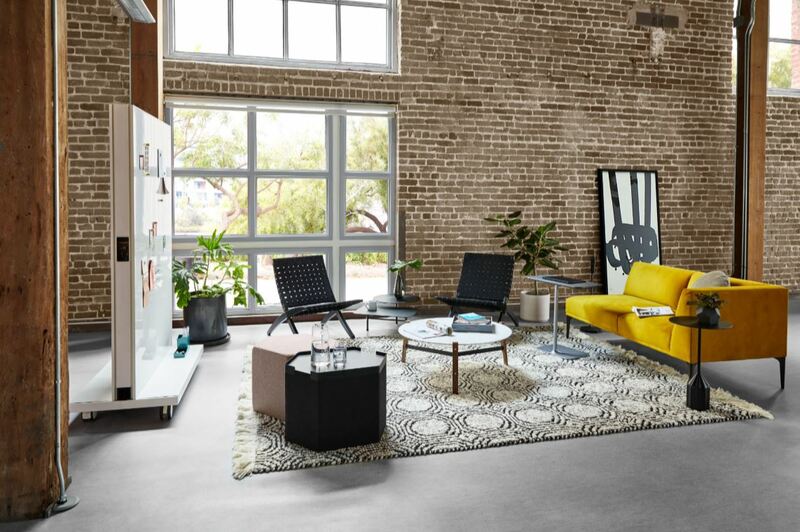 Stylish design doesn’t need to be compromised either. Vinyl tiles can be designed to mimic natural patterns like wood grain or stone. Interior design has a big impact on not only patient satisfaction, but also on patient health and healing. Single patient rooms prevent infection, reduce patient stress by providing privacy, and improve patient satisfaction. Reducing stress and infections allows patients to better recover, and ultimately shortens hospital stays. Views of nature provided by windows, gardens, or realistic pictures help to reduce stress and pain and also promote healing. Reducing noise is important to reduce patient stress and allow patients to get proper rest; Private rooms with noise-dampening design features and materials such as luxury vinyl floors, standardized layouts, and soundproofed ceiling tiles can make a big difference. Receive the latest tips, new products and more via email!